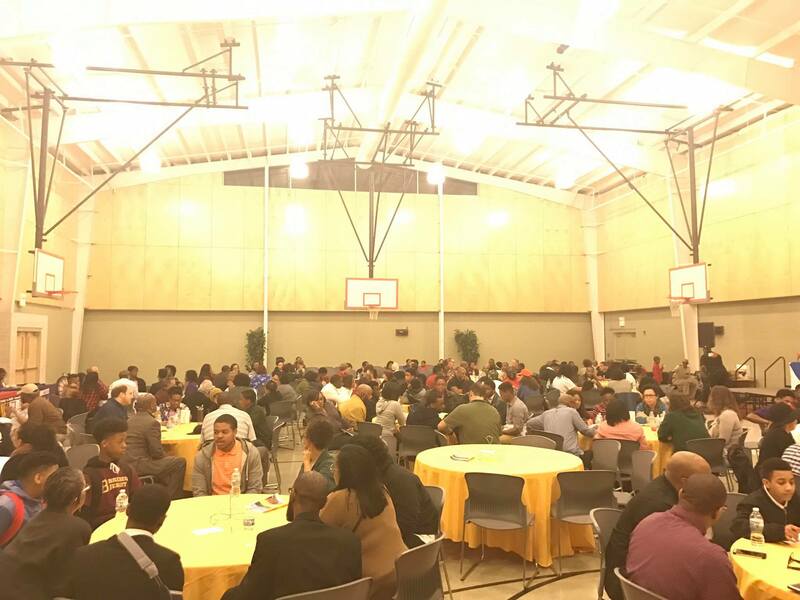 “The Tru Dialogue event that took place on February 24th was a success. 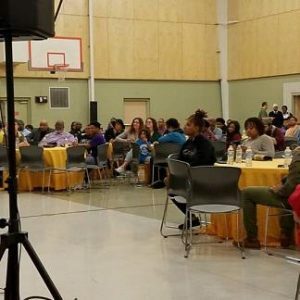 There were over 200 youth and adults in attendance, discussing what it will take to bridge generational gaps. The two moderators, Nicodemus Monts and Aaliyah Coe, did an excellent job of using their interpersonal skills and natural abilities to guide conversation. They were able to effectively engage the panelists as well as hold the audience members accountable. The panelists were honest, transparent, and sought to provide necessary insight that has long been dismissed. The small group discussions, led by youth table captains, was a focal point in developing take-away items and steps to implement action. The most common fact that was voiced over and over again: It is important to listen to these youth without the requirement or inclination to respond. 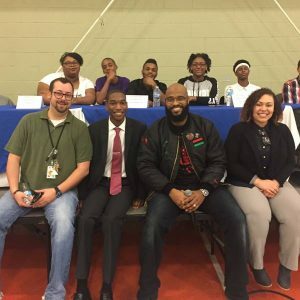 The audience was comprised of local law enforcement, educators, politicians, media personalities and community liaisons and more to actively listen to youth. 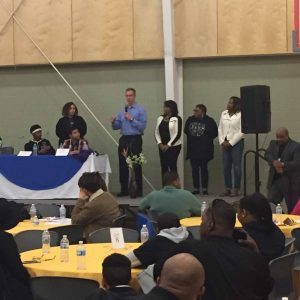 IMPD Police Chief Roach along with state representatives Vanessa Summers and Robin Shackleford were on hand as audience participants. 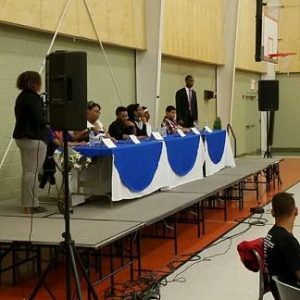 The panel was comprised of students ages 13-18 and led by our co-moderators Nicodemus Monts and Aaliyah Coe.